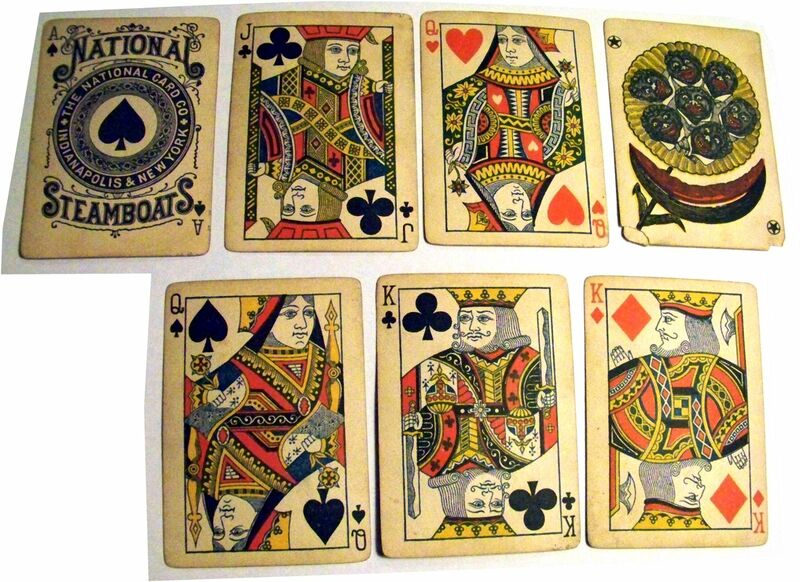 Various U.S. playing card manufacturers produced their own version of the Steamboat brand, usually towards the bottom of the range, which related to the Steamboats that plied the Mississippi River. 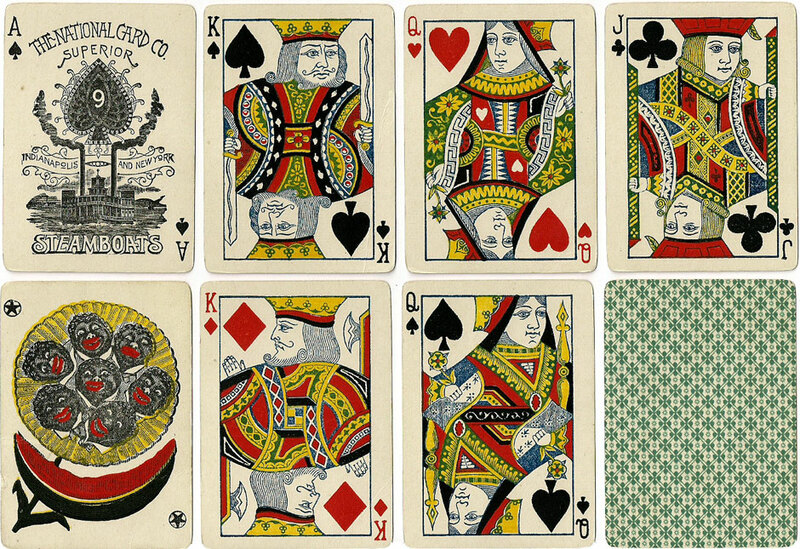 This deck was of slightly superior quality than it's predecessor National Steamboats No.9 and is enhanced by a more picturesque Ace of Spades. It was retained by U.S.P.C.C. after its absorption by that company until about 1910. 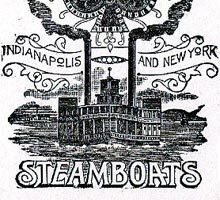 Above: Superior Steamboats No.9, c.1885. Although the Steamboats brand was the bottom of the line quality-wise with all makers, this particular deck is gold edged! Images courtesy Rod Starling.